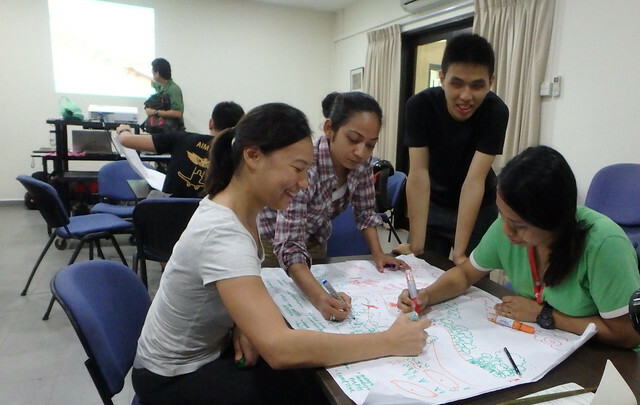 We had an awesome workshop about mangrove restoration! 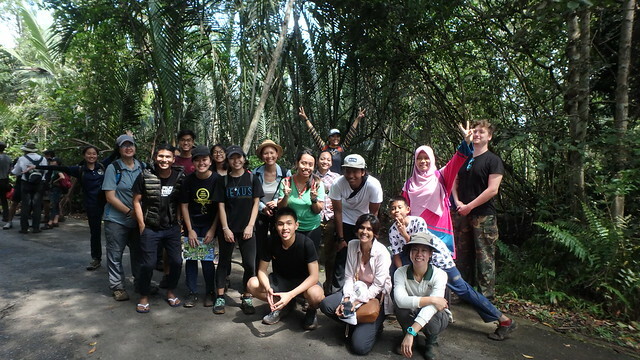 Thanks to enthusiastic participants who came to Pulau Ubin to visit the mangroves and share their ideas. 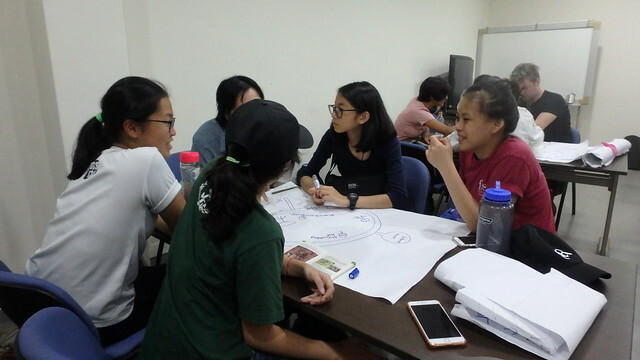 This workshop is organised by youths of Lepak In SG for International Year of the Reef 2018 with the support of the National Parks Board and Restore Ubin Mangroves (R.U.M.) Initiative. Also joining us were visitors for the monthly R.U.M. walk by Sea Angel! We began earlier in the day with a round of introductions. 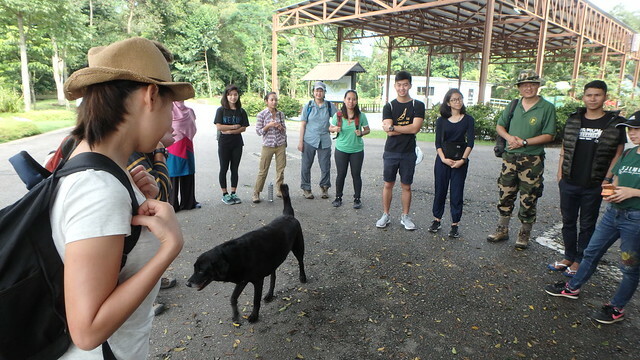 Only on Ubin will kampung dogs join in a workshop! 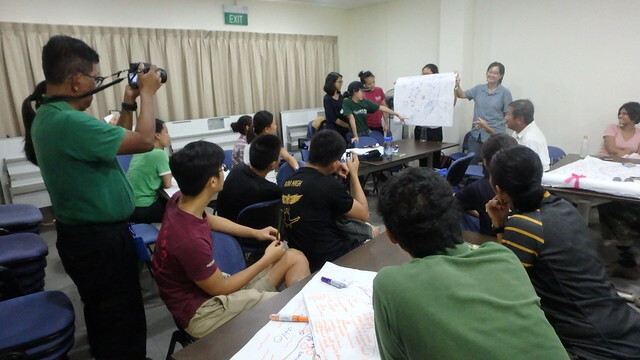 Thanks to the Lepak in SG team for organising the workshop! 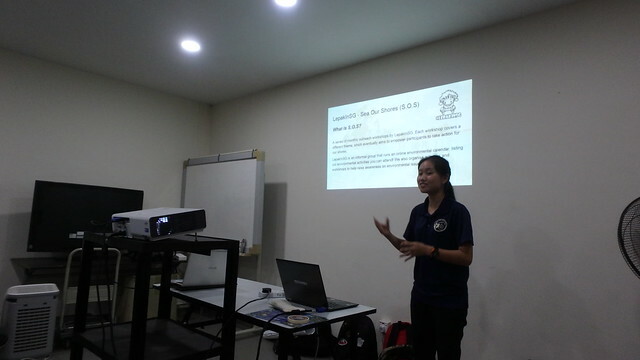 Here is Dayna Cheah sharing about Sea our Shores: monthly workshops by Lepak in SG in Celebration of International Year of the Reef 2018. 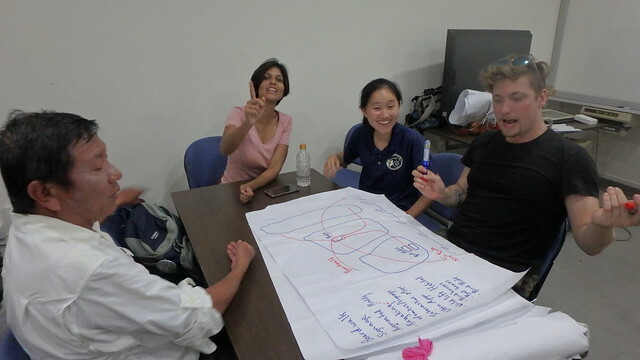 Tessa Liu, IYOR intern for R.U.M. 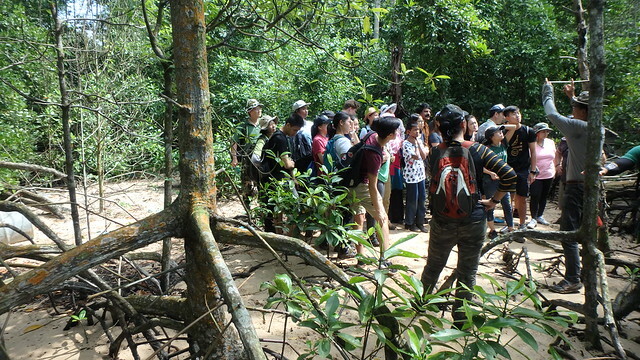 gave a great introduction to mangrove restoration work at Ubin. 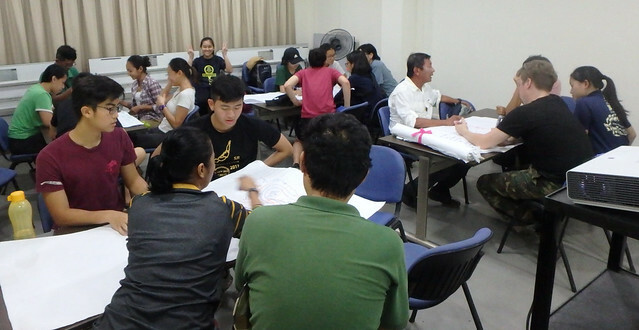 With lots of support at the workshop too from Jared Moore, Liz Lim, Cheryl Lao and other R.U.M. volunteers. And of course, photography support from MJ Mohammad. The workshop includes a visit to an actual restoration site, which includes Walking The Plank. Thanks to Germaine Leng and NParks for arranging the planks and taking care of us throughout the workshop! 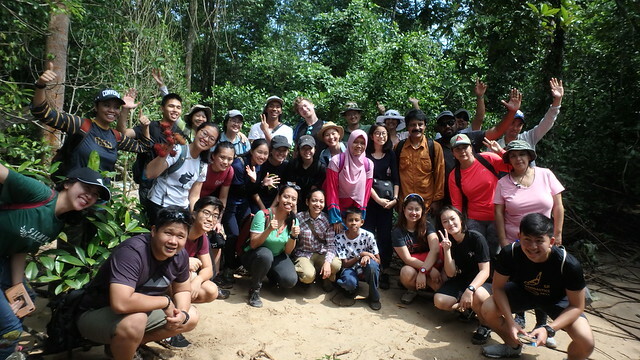 We are lucky to have Phillip Lim and Lim Siak Juay and Sea Angel volunteers to help share real ground experience of mangroves. 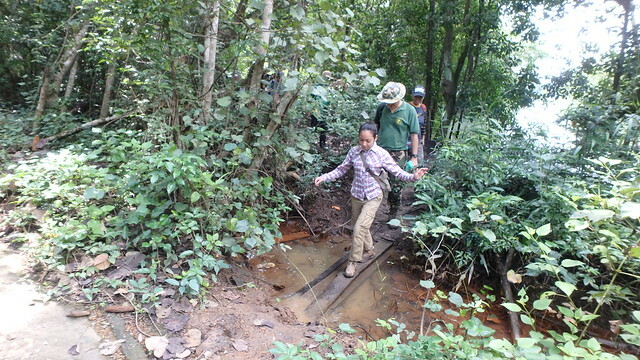 The participants were very sporting and cheerfully walk the muddy path through thick vegetation! 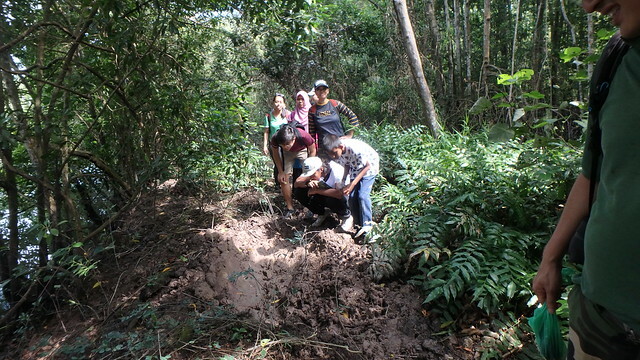 Wild boar had created huge holes in the path as they wallowed in the mud. Probably to coat themselves with mud which is cooling and also repels bugs. 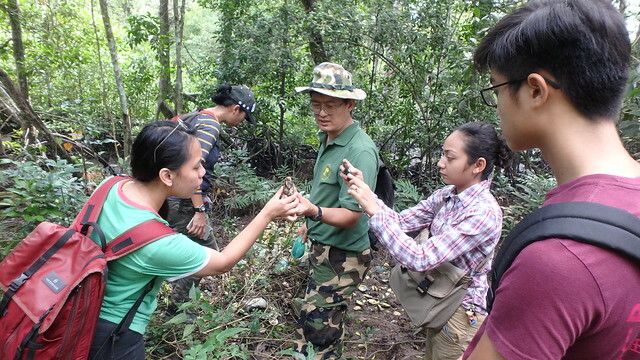 Participants are actually more knowledgeable than us, and shared how such clams (Lokan) were traditionally harvested. 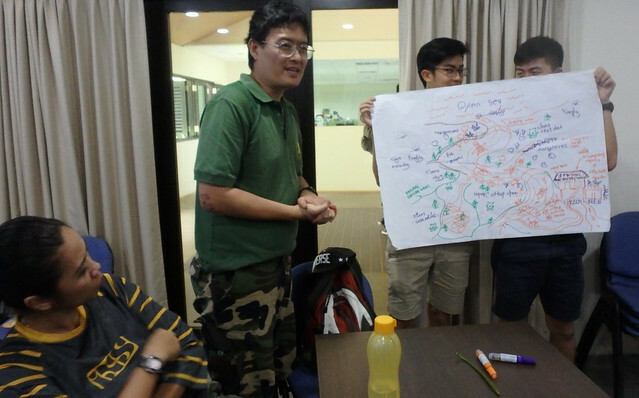 Expert participants sharing special mangrove snails which show that this Ubin mangrove is quite healthy. Jared shares with us seeds of the Endangered Dugun tree. They look like the face of Ultraman. We stopped by Teck Seng's Place, a kampung house restored by NParks as a demonstration model. 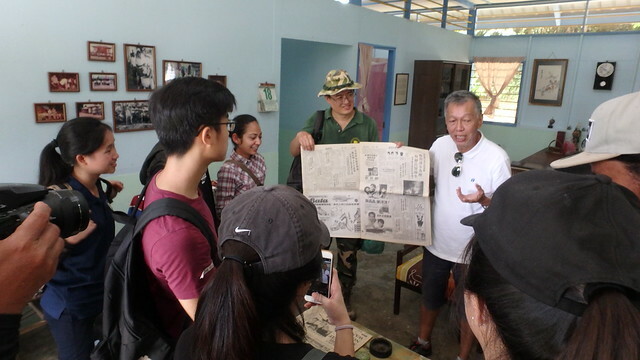 Where Uncle Lim gave a great tour, giving participants a glimpse of life in days gone by. 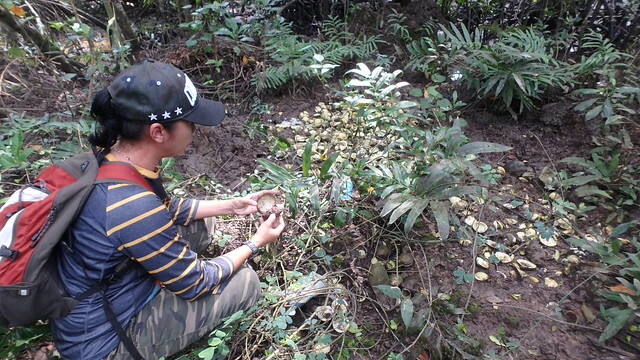 Throughout the trip, we enjoyed huge bunches of lucious Ubin rambutans kindly provided by Phillip Lim! We had lunch at Ubin, a great way to have a delicious meal as well as to support the village shopkeepers. 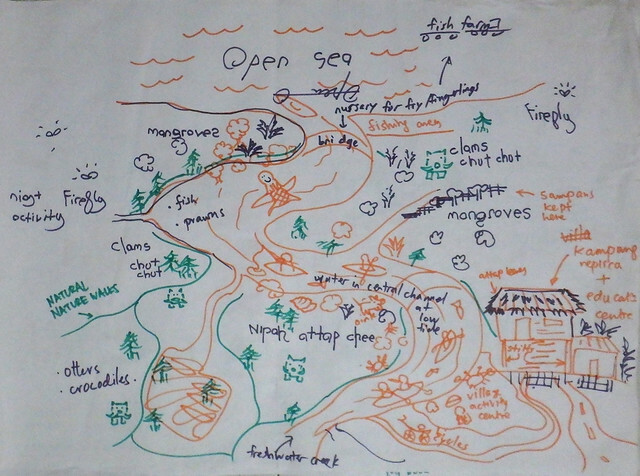 After which, we regrouped to brainstorm ideas for mangrove restoration. 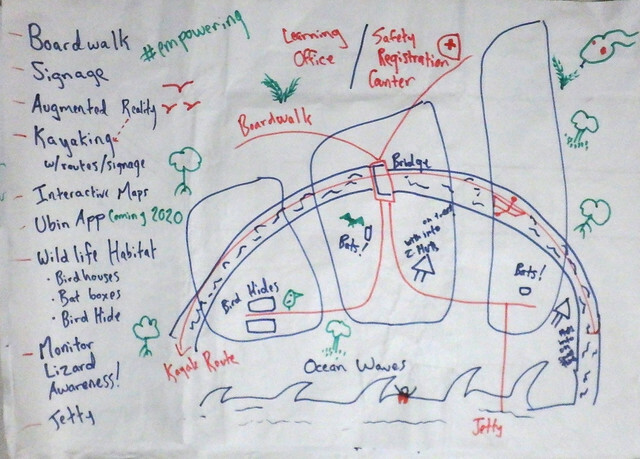 Here's a look at some of the awesome ideas! 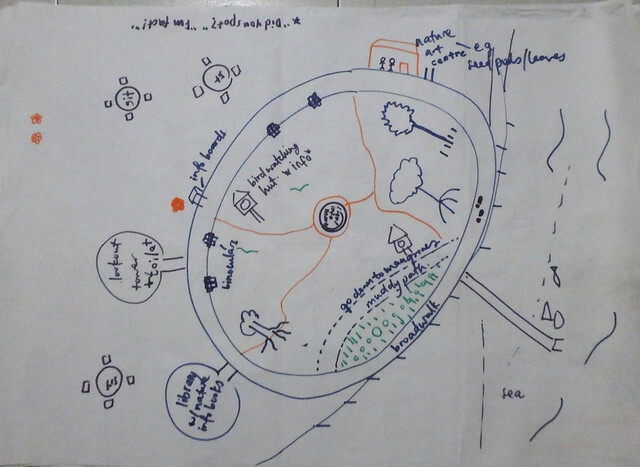 All this feedback will be incorporated in an upcoming two-day workshop organised by NParks. 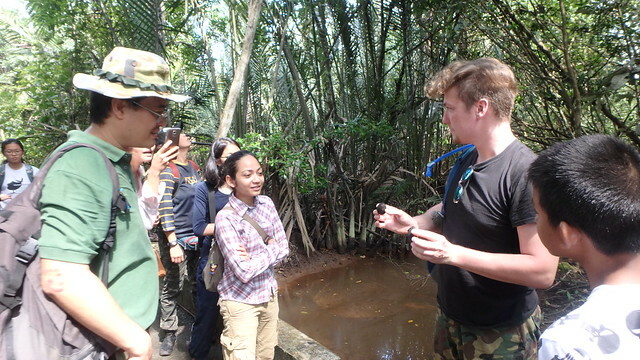 It features Mr Ben Brown (Founder of Blue Forest) and pioneer of Ecological Mangrove Restoration (EMR) in Asia. 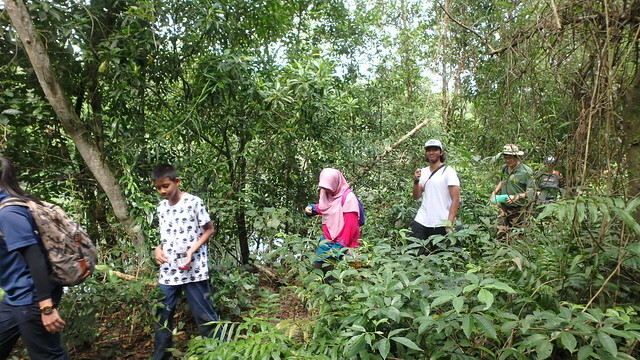 He will share his experience and facilitate discussions on possible designs for mangrove restoration. 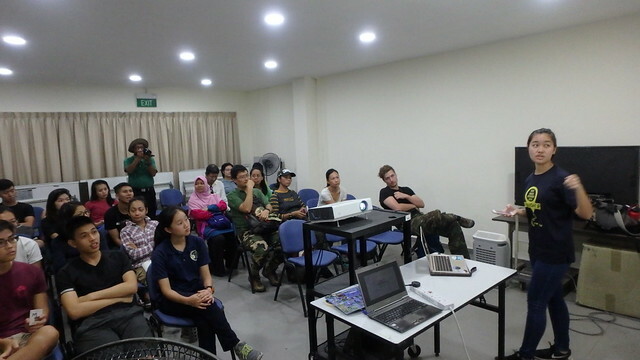 Prof Dan Friess from NUS will share his findings on EMR conducted on Pulau Ubin. 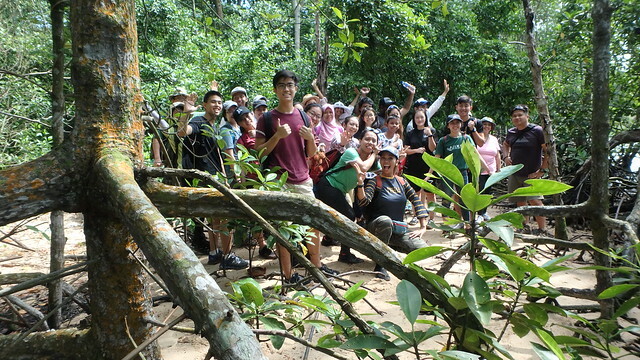 While Tessa Liu, IYOR intern for R.U.M., will share on the feedback she has gathered from Ubin villagers and via our online survey. 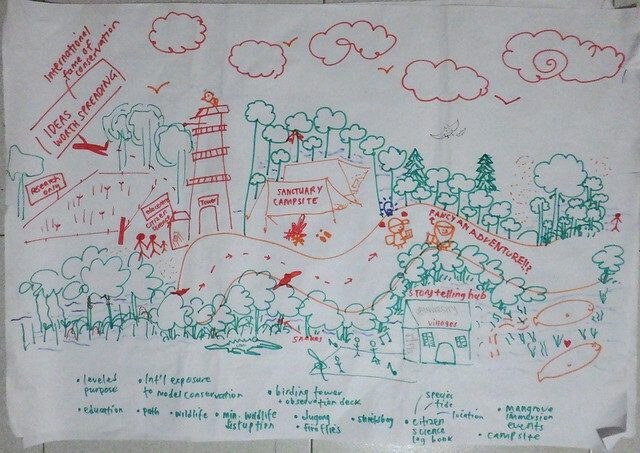 How can we make Ubin's mangroves more appealing?